The defendant is accused of shooting the victim after an argument. North Merrick, NY - July 21, 2014 - The First Squad reports the details of an arrest for Attempted Murder that occurred on July 20, 2014 at 9:10 pm in North Merrick. According to detectives, defendant Diquan Booker, 26, of 157 Westchester Street, Long Beach was at a home on William Street when he was involved in a verbal argument with a 26 year old female victim. The argument escalated when the defendant produced a shotgun and pointed it at the victim. The victim grabbed the barrel of the shotgun and the defendant then shot the victim in both hands, the forehead and upper body. The victim was transported to a local hospital and after surgery is listed in stable condition. The defendant was placed into custody at the scene. Diquan Booker is being charged with Attempted Murder 2nd Degree and three counts of Criminal Contempt 1st Degree. He will be arraigned on July 21, 2014 at First District Court, Hempstead. 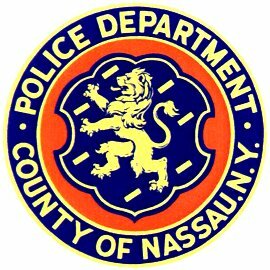 Subject: LongIsland.com - Your Name sent you Article details of "North Merrick Man Arrested for Attempted Murder after Shooting Woman"